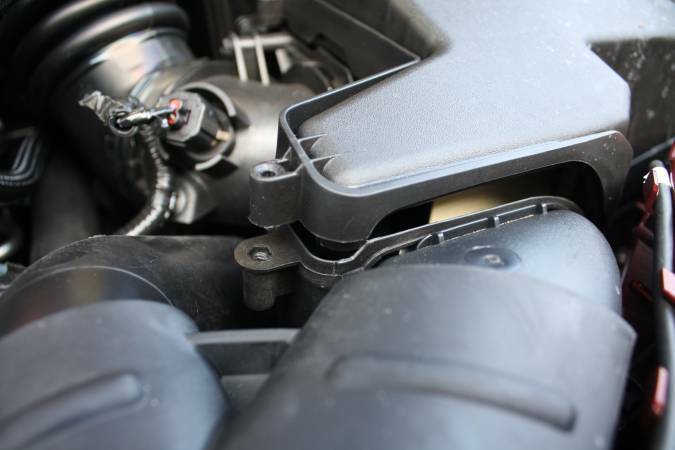 Replacing the engine air filter on a Ford Escape (1.6L and 2.0L Ecoboost shown) is very easy. There are a few plastic panels and covers in the way. With a couple common tools and this guide you'll have it changed in a few minutes flat. 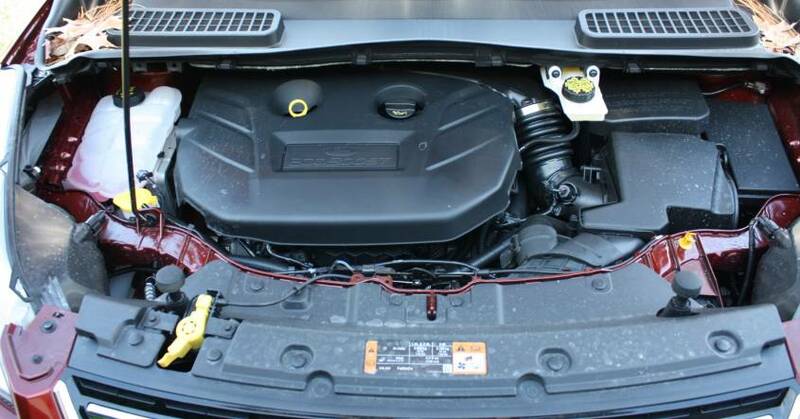 This article shows a 2014 Ford Escape 2.0L Ecoboost (turbo), but the 1.6 uses the same intake and filters. This should apply to similar years like the 2013 and 2015 models. Ratcheting Bit Screwdriver(preferred) or socket wrench with an extension. Pull the hood release lever on the driver's side kick panel. We're starting very basic here, but we want to make sure even novice enthusiasts can get this done. Open the hood by pushing the yellow lever outward then lifting the hood. 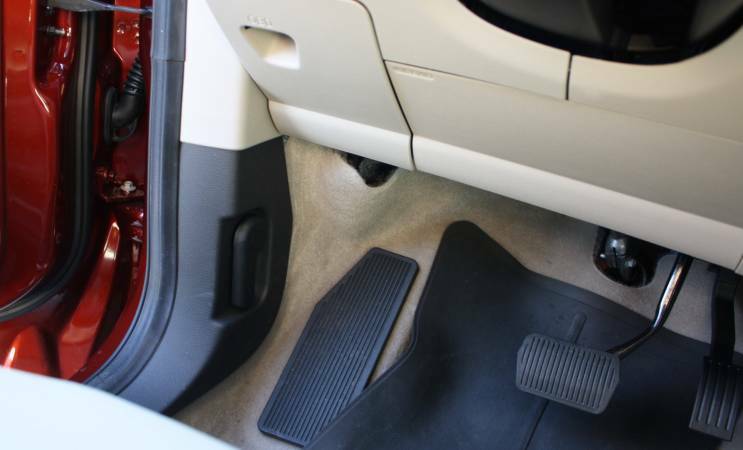 The escape uses a manual hood prop, so use it to keep the hood open. 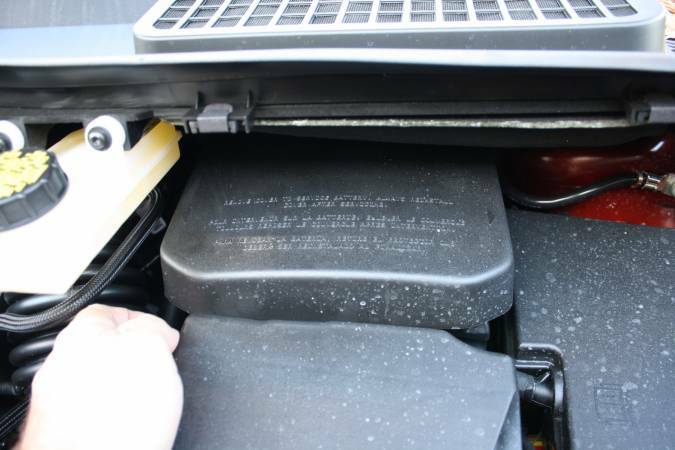 Remove the battery cover to gain some room to access the rear of the air filter lid. Remove the 4 x 8mm hex screws at each corner of the air filter box. A ratchet with an extension or bit driver would be perfect for this. Then just remove the air filter cover by pulling it off. 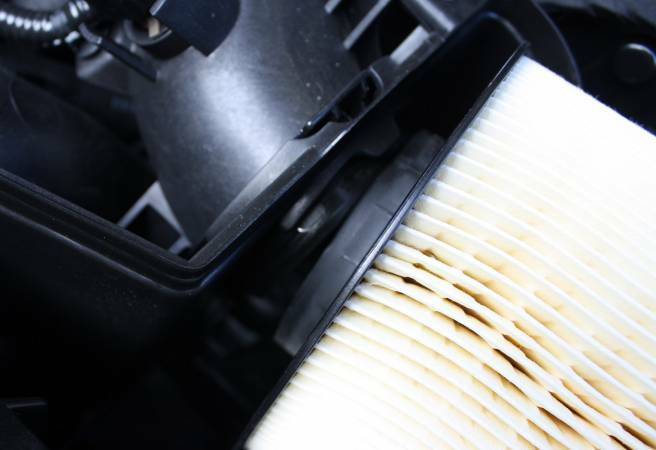 Pull the old air filter out of the intake box. It is attached to the tube on the left. The right side has a small lip that also fits just right into the box. 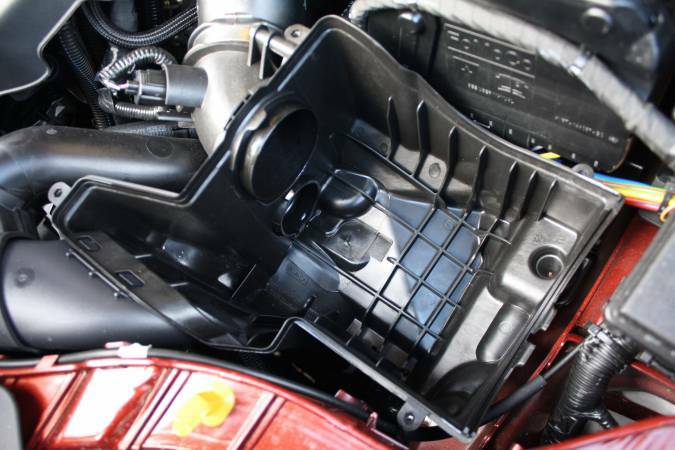 Make sure you remove any leaves, dirt, or garbage from the intake box. Install the new filter by lining up the round rubber hole in the filter with the intake tubing on the left side of the intake box. The right side has a lip and a little tab you need to line up with the bottom of intake box. The lip around the circumference fits into a slot in the intake box. The lid fits right back down onto the intake box. Take car to align the lip on the box and the lip on the air filter to make sure the box has a good seal. Re-install the 4 x 8mm screws into the box lid. Snap the battery cover back in place. 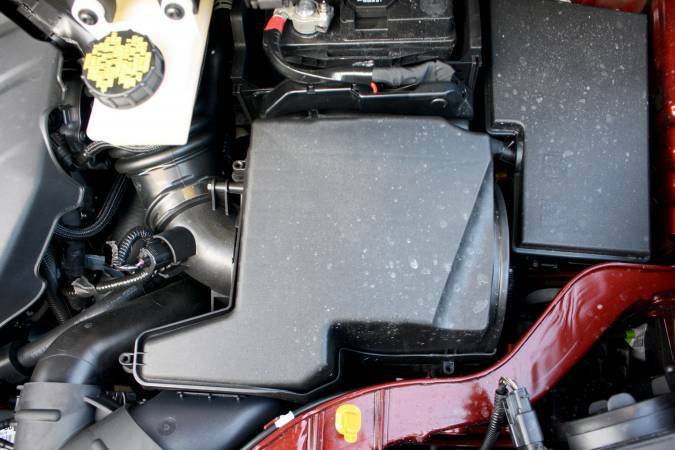 Great article on air filter r&r. So simple a child could do this. Thanks! 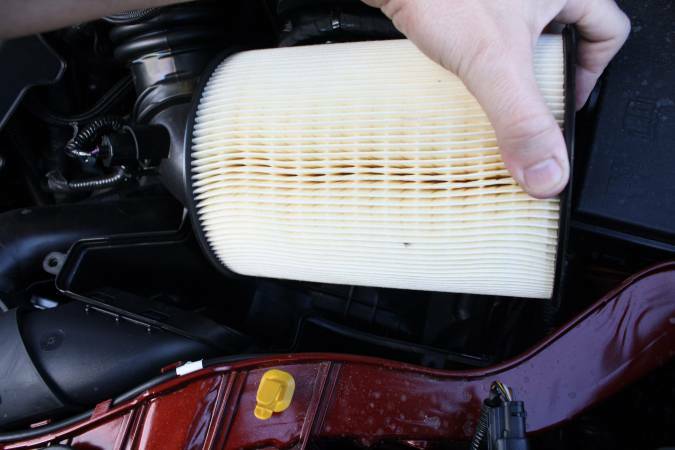 How about changing the air filter on a 2015 Escape S 2.5? It appears the filter housing cover is identical to the Focus. Anyone know for certain?